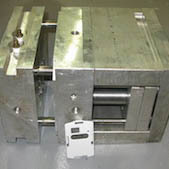 An injection mold tool designed to produce the CAD part. Mold tools vary depending on what stage in the production process you are in. Most pre-production tools are made from aluminum while most mass-production tools are made from steel. 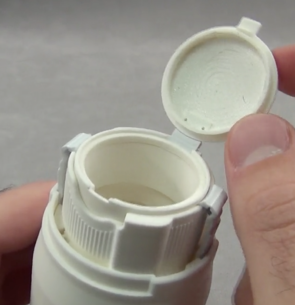 Oftentimes it is possible to use a Master Unit Die (MUD) mold tool to simplify the process. MUD tools are simply metal inserts used in lieu of a solid block tool. You can read all about aluminum, steel, and MUD injection molding tools here. It depends if you’re talking about pre-production prototypes or mass manufactured prototypes. We turn around pre-production prototypes in a matter of 1-3 weeks. Pre-production prototypes usually consist of between 300 and 1000 replica parts made in the final production material. Mass manufactured parts typically take much longer to produce (months instead of weeks) and typically consist of tens of thousands to millions of parts. The largest time sink in mass-manufacturing tends to be assembly. Injection molding produces high volumes of parts but oftentimes human beings still need to manually assemble them. To the extent that it’s possible to design your parts to simplify assembly we highly recommend it. This will save your business a lot of money in the manufacturing process by eliminating unnecessary labor expenses. Before you invest large amounts of money in a multi-cavity mold and the injection molding process in general, make sure that the design and engineering are sound and that the product has been thoroughly tested in its final production material. We highly recommend going through the pre-production prototype process prior to mass manufacturing parts. For more on the prototype generation process in general leading to mass manufacturing read our article on engineering.com.